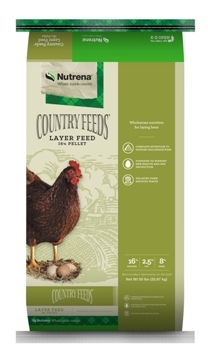 Country Feeds provide the wholesome nutrition your poultry needs at the price you want. 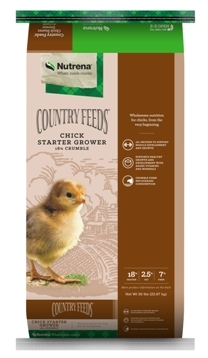 They offer a great value on quality feeds with specialized nutrients for every bird in your flock. 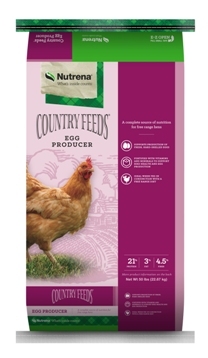 Solid nutrition to keep your flock healthy and productive, with the added convenience of feeding from just one bag. 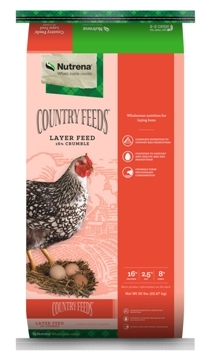 Country Feeds Meatbird Feed provides the nutrients necessary to develop meatbirds to their fullest potential. 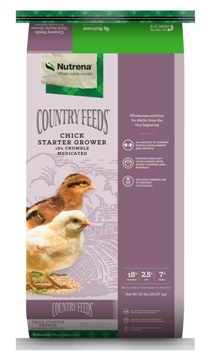 Complete feed for healthy growth and muscle development in gamebirds.